EMCs really neat RecoverPoint replication tool offers flexible RPOs with dynamic synchronous and asynchronous options to allow customers to customize RPOs based on criticality of their data. It’s really flexible, even flexible enough to replicate between VMAXe arrays, VMAX to VMAXe, VMAXe to VNX, VMAXe to CLARiiON and even from VMAXe to non-EMC arrays (if you have any). With 90% reduction in replicated data due to built in WAN dedupe, data compression and write folding, customers can save on network costs and in many cases can use existing networks to protect their data. 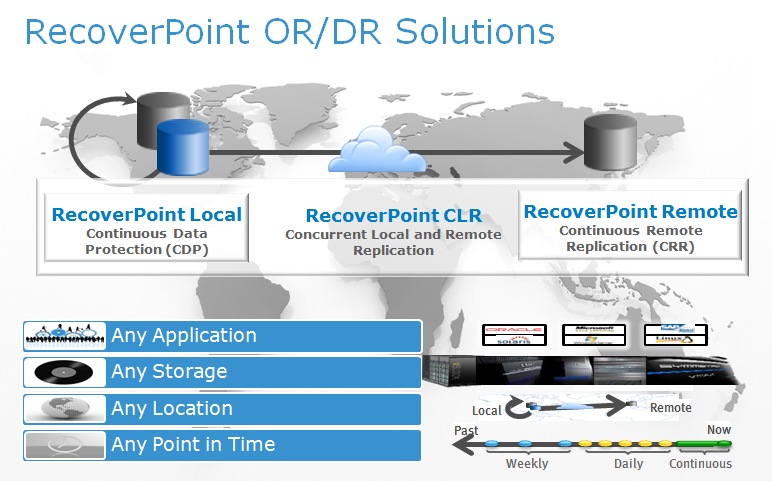 Now that the intro is done, what’s new with RecoverPoint, and why should you care? 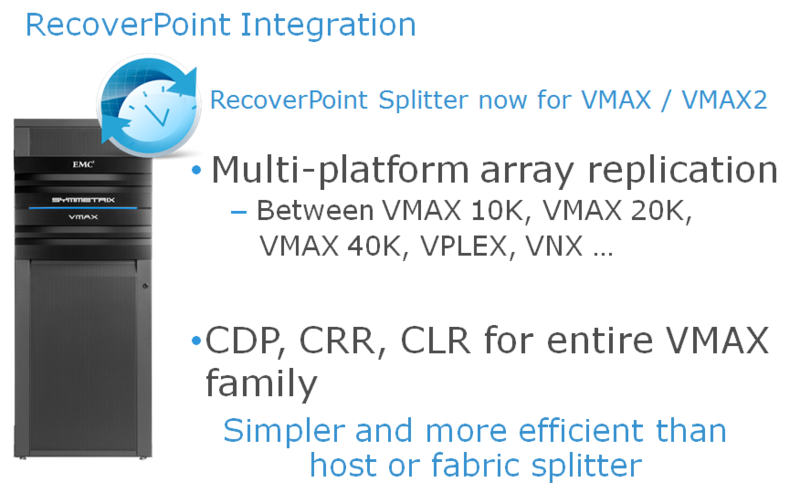 With the VMAX code Enginuity 5876, the entire VMAX family can now utilize the RecoverPoint splitter directly integrated into the array. What does this mean? Well, first of all it means that you can now use RecoverPoint on a VMAX platform, giving you all the functionality of RecoverPoint such as the very granular replication technology that can recover to ANY Point-In-Time with application consistency. This entry was posted in RecoverPoint, VMAX. Bookmark the permalink.